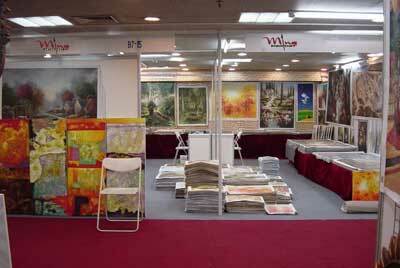 We are Asias premier oil painting studio located in Thailand  the Land of Smiles. As you are dealing directly with our studio rather than a middleman, youll save dollars. We employ a Western manager to ensure clear communication, good business practices and superior product quality. Youll find doing business with us is easier and safer but just as cheap as trying to deal with other studios in Asia. Our wholesale prices are quoted in US Dollar, FOB Bangkok (not including shipping charges and import duties or taxes) and are for unstretched, unframed oil paintings unless otherwise agreed . We can arrange shipping for you at the most competitive local rate obtainable. You need to add 8-12% to the weight for Impressionist style oil paintings and about 70% for thick impasto knife paintings. 1 cubic meter can contain approximately 2000, 20 x 24 paintings. Unframed paintings are rolled with a layer of plastic film between the paintings and are packed into a sturdy cardboard tube. 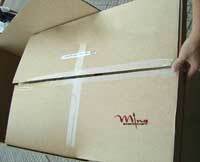 Stretched and framed paintings are packed into a strong carton with the corners protected by cardboard. We accept payment by credit card, check or letter of credit for large orders. For first time buyers, we require one half of the total amount due to be paid when ordering and the remaining balance to be paid when we ship.